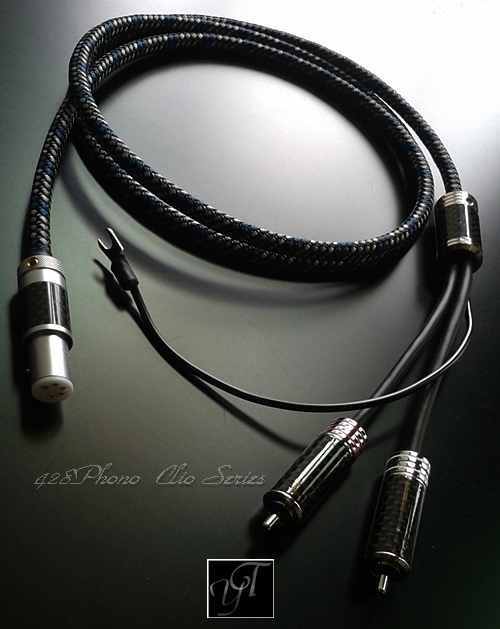 The Clio series features cables with solid pure OCC silver conductors. 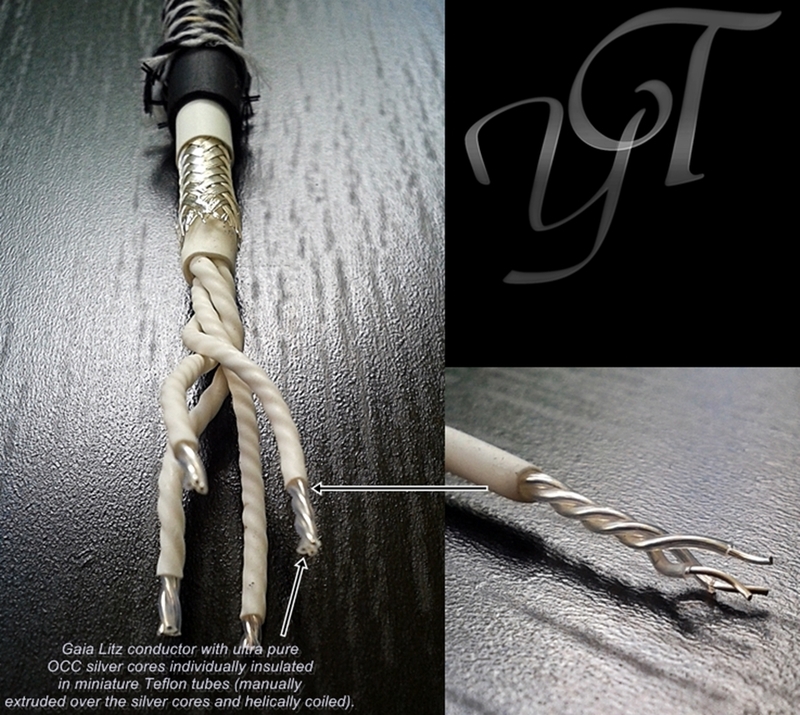 These cables use traditional round Litz geometries and represent excellent value for money. Their efficient designs are topped up with high quality materials, much attention to detail and professional finish in order to deliver the best possible performance. 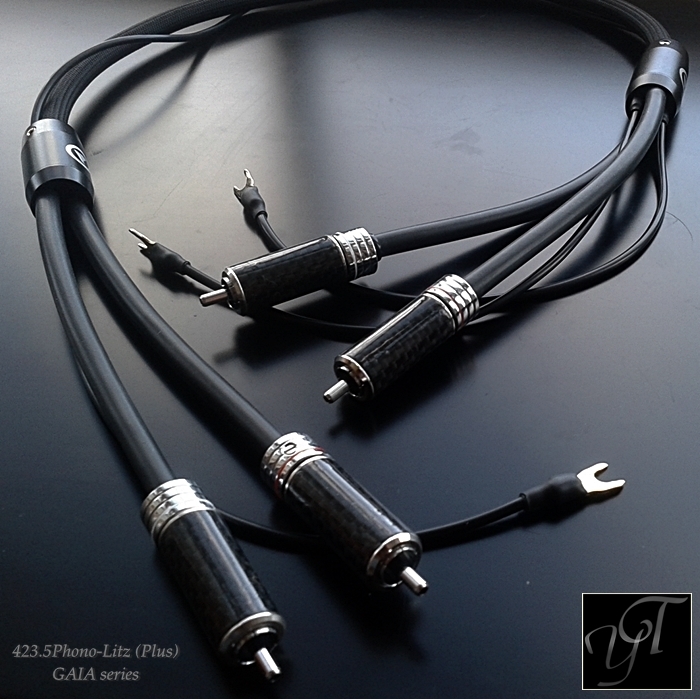 Ultra pure single crystal silver conductors, excellent combination of dielectrics, effective shielding, outstanding craftsmanship and high quality connectors make these low capacitance, high performance cables suitable for any hi-end hi-fi system. The cables in the Clio series are characterized by a tight and articulate leading edge, speed and clarity. 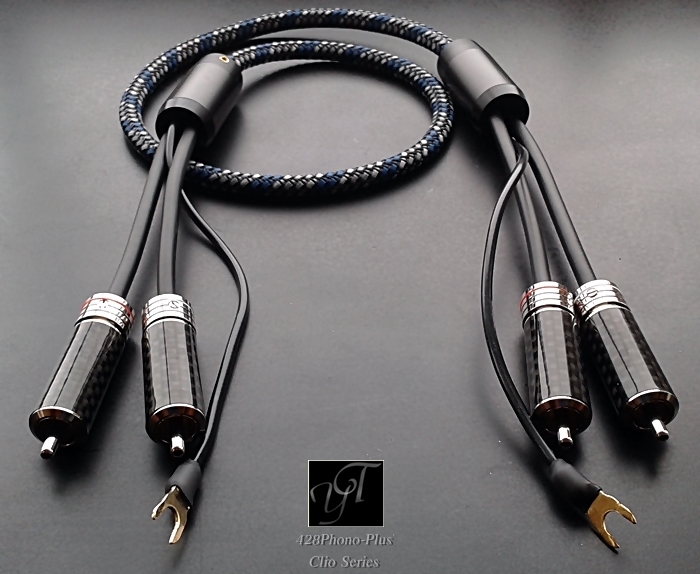 Their dynamics and extension can only be found in some of the very best cables in the market while their open tonal character is comparable to unshielded designs. 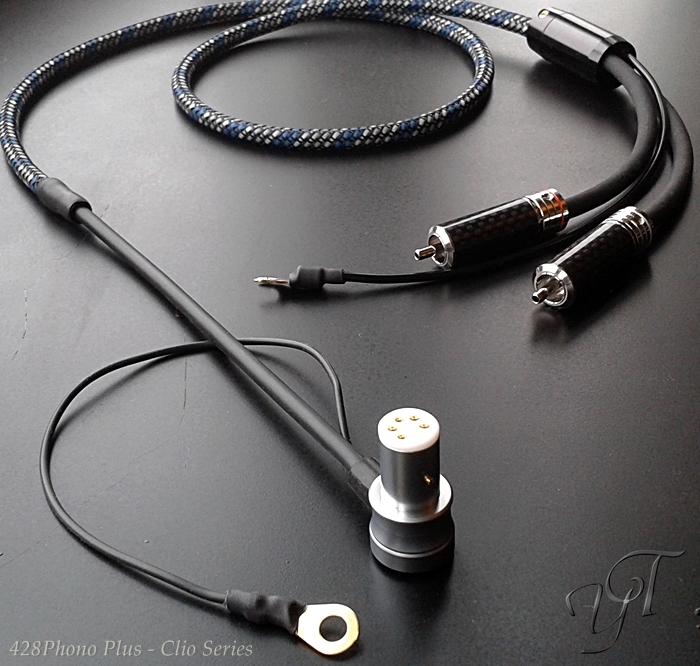 Despite their low price these solid silver cables will impress and deliver rare sonic qualities. 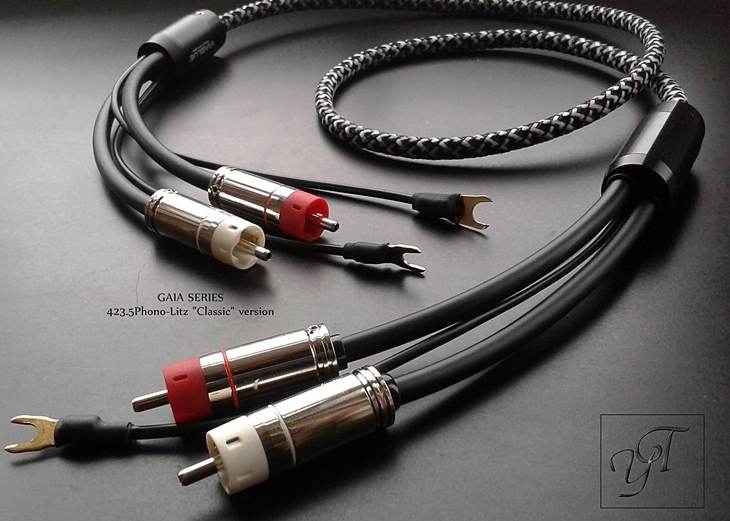 Clio Tonearm & Turntable phono cables are available in various configurations to match most components using balanced or unbalanced arrangement. These cables can be terminated with DIN, XLR, mini XLR, TS, TRS, RCA, BNC etc in order to suit the requirements of most equipment. Each Gaia cable is made upon order and it is the product of many hours of work accomplished over a period of a few days, so that each stage of its construction is properly assessed and executed. Performance, durability and finish are taken to the highest possible level to create a superb cable. 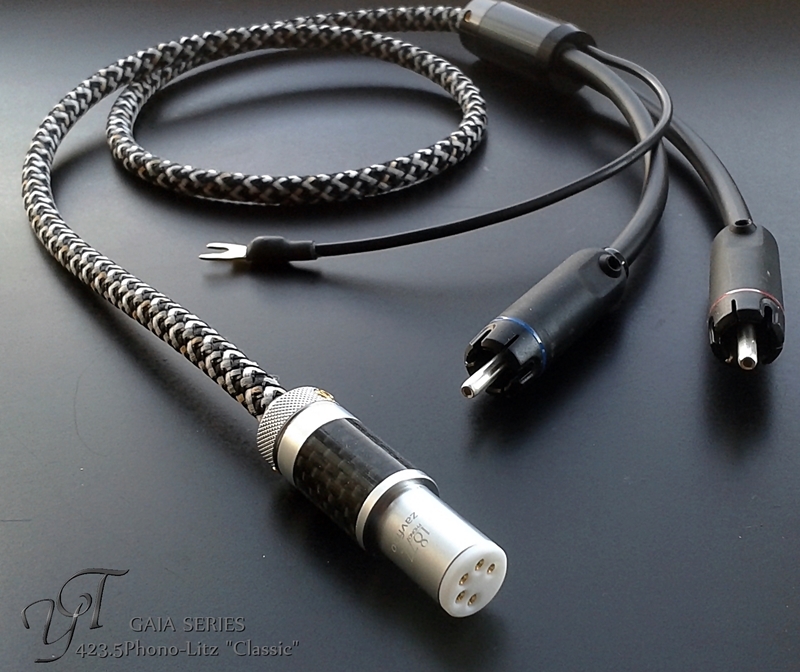 Our Gaia cables have a unique ability to expand the soundstage in depth rather than simply horizontally & vertically. They are holographic and will deliver more of the 3D elements of the performance. They are characterized by full body and the ability to create better layering and separation between instruments. They carry transparency, speed and dynamics with excellent bass response. Well defined but still natural with rich and believable midrange and upper bass. Although not strictly clinical, they are quite unforgiving cables in the sense that they will not mask detail and likely to expose weaknesses in the system. 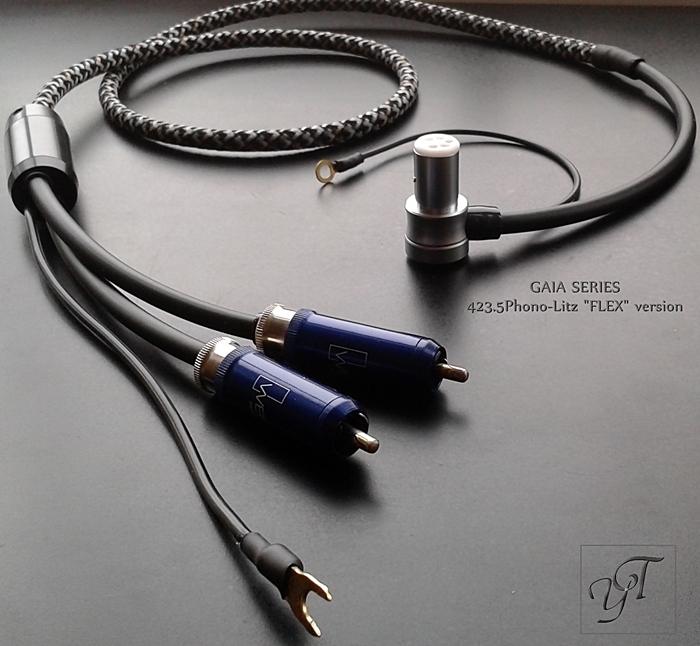 Gaia will especially reveal their qualities to those who seek a very well balanced alternative to what most silver cables deliver. Their performance is not simply focused on delivering clarity, detail, speed and dynamics but reveals hidden aspects of music that have to do with the coherence of a recording (I,.e how layering, imaging, ambience and height are projected in the soundstage). Gaia Tonearm & Turntable phono cables are available in various configurations to match most components using balanced or unbalanced arrangement. These cables can be terminated with DIN, XLR, mini XLR, TS, TRS, RCA, BNC etc in order to suit the requirements of most equipment.